A proud Momma cheering for her favorite basketball dude! 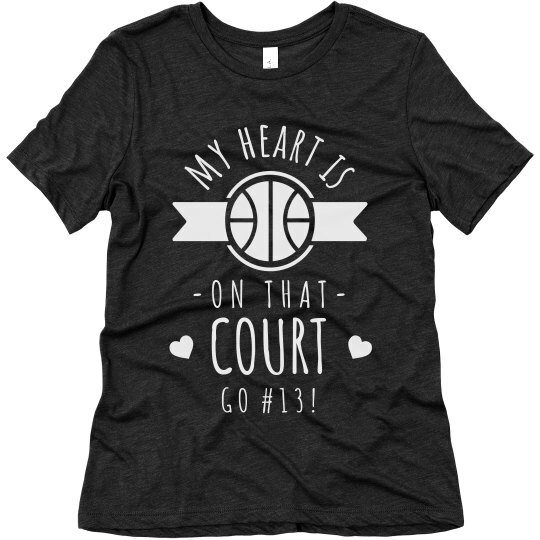 This "My heart is on that Court" shirt will absolutely motivate your child's basketball powers on the court! You can customize this using our Design Center by adding his name or jersey number! Good luck!! Custom Text: my heart is | - O N T H A T - | COURT | G O # 1 3 !